The 2018 women’s season begins in less than two weeks now, and after releasing our Way-Too-Early 2018 VolleyMob Top 25 Power Rankings back in June, we’ve updated the list to get set for opening week. With that said, we will be releasing teams five at a time with a full list including honorable mention picks coming on Friday for our official 2018 Preseason Top 25. 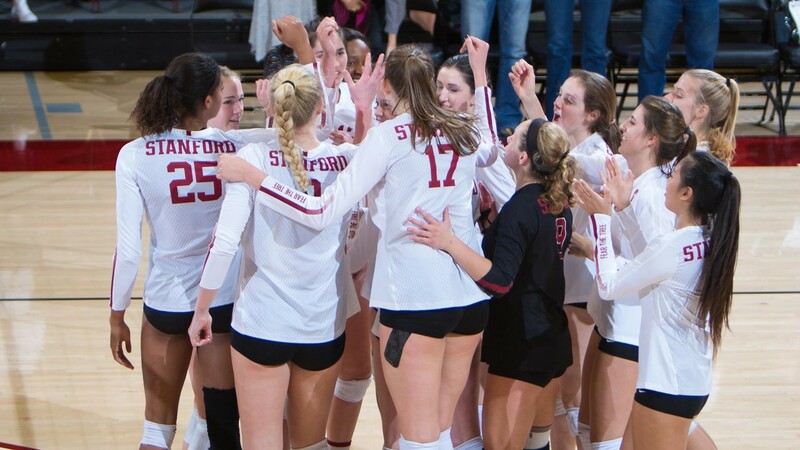 Bottom Line: Stanford will have to overcome the loss of Lutz, who was their best attacker in the Final Four loss to Florida, but even then Lutz started in 16 matches with Kate Formico as a DS starting 14. They also have an incredible amount back with experience now playing in two Final Fours and winning a title that reaches to both starters and backups returning to the fold. In 2015 Nebraska won it all but lost in the Final Four in 2016 before winning it all this year. The Cardinal have followed the first two years of that path and should have a great chance to repeat as the soon-to-be junior class of Plummer-Gray-Hentz may represent the best player in the country at each position. Two talented middles add to it as well in Alade and Fitzmorris with a third on the way in 6’4″ true freshman Holly Campbell. Bottom Line: Minnesota does lose a solid middle in Molly Lohman and libero Dalianliz Rosado, who’s been an underrated aspect of the defense the past few years, but has five starters back in what could potentially be another Final Four trip. Overall though, their five starters returning should make them an elite offense with Seliger-Swenson facilitating the attack. Stephanie Samedy should be a National Player of the Year candidate too. They should have plenty of depth after they owned seven freshmen and four sophomores this past season and still had a strong year – although Sydney Kleinman and Brittany McLean transferred out, but bringing on one of their own in Claire Sheehan helps. A new mix of talented freshman joins the bunch as well led by McGraw and Rollins with head coach Hugh McCutcheon always hitting the recruiting trail hard. Bottom Line: The Huskers lose four senior starters off of 2017’s National Championship roster, including three who earned some sort of All-America recognition. The most notable is legendary setter Kelly Hunter, who shared NCAA Tournament MOP with Mikaela Foecke. Don’t let the two returning starters fool you though as Nebraska had eight first year players led by Stivrins and Sweet. Many of those youngsters didn’t start but saw valuable match experience. For example, Sweet only started six matches but was the first pin player off the bench and played in every match as a high-level option. They also tack on yet another great recruiting class and former top recruit and Texas transfer Lexi Sun. Sun’s ability to acclimate right away and give the Huskers maybe the best left-pin in the nation along with Hames’ early development will be the key in Nebraska contending for back-to-back titles. After wondering how good they could be in retooling last year, we put our trust in John Cook and put them at #3, which could be higher if they remain the top serve & pass team in the country – with the return of Maloney helping. Bottom Line: Wisconsin brings back a strong four starters plus the libero, but still has to overcome some losses as they bid farewell to a pair of solid players in Lauryn Gillis and Kelli Bates. However, with seven freshmen and five sophomores in 2017, the Badgers will be much more experienced and have a Player of the Year candidate in Rettke at the forefront. The wild card in it all is the return of Molly Haggerty, who was a 2016 AVCA All-America Third Team selection and the Big Ten Freshman of the Year before missing 2017 with a back injury. The group is still relatively young with just one senior in Tionna Williams, but they’re all experienced in terms of playing with each other. Madison Duello and Grace Loberg, who surged late in the season, should help round out what should be one of the more complete teams in the country and could easily win the Big Ten. Bottom Line: The Cougars were likely underseeded by the tournament committee this past season but for the second straight year almost upended their Sweet 16 host and fell short in a fifth. The 2018 team could be the one that breaks through and challenges for a National Championship similar to 2014, as they return six of their seven starters with three who earned some sort of All-America status. Veronica Jones-Perry could emerge as a Player of the Year candidate too on a team that has plenty of other options. Mary Lake and Lyndie Haddock are calming presences for the Cougars as well. They’ll need Redding to progress in year two as BYU loses yet another productive middle with two highly touted incoming freshman at the position to give them plenty of skill but not a ton of experience. If Redding can make a jump along with highly recruited Taylen Ballard in year two, they should be one of the top teams in the country. I find it bizarre that in your “way too early” rankings you had Minnesota 2 and Nebraska 3 . . and then Lexi Sun is added and Minnesota is still 2 and Nebraska 3. It really means nothing, but your continued obsession with McCutcheon doesn’t make much sense. . . until he actually beats Nebraska or Penn State in a match that actually means something, I don’t understand having Minnesota ahead of either. But, hey, that’s just me. As for Stanford, I am still amazed they didn’t win last year.. . . and they look stronger this year. Clear separation, IMO. We’ll see shortly.